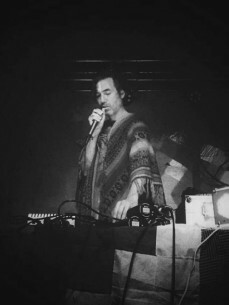 Uji (Luis Maurette) is an electronic producer and musician born in Buenos Aires, Argentina. A nomad since the age of two, Maurette has lived throughout the American continent in Ecuador, Chile, Mexico, USA and Argentina. Uji’s music is meant for the dance floor, and has roots in indigenous, folkloric and African music and borrows from the aesthetics and sound design of electronic music. His fascination with sound and electronic music brought him to Berklee School of Music where he delved into synthesis, programming and sound design. In parallel he immersed himself in ritual music, which led him into the mountains and jungles to participate in indigenous ceremonies and songs, to make field recordings of the birds and rivers, to learn rhythms and dances, to discover ancient practices and to listen to the ancestral voice of nature. Uji’s music is the alchemical ritual of merging these seemingly opposite worlds of the ancient and the modern. He is half of the pioneering duo Lulacruza since its inception in 2005, with whom he has released 5 albums, a feature film and visual album by director Vincent Moon, as well as a remix series by a worldwide mix of producers. Lulacruza boldly embraces the intersection of electronic and folk music, forming part of the South American new folklore movement. Lulacruza has been released by labels such as ZZK Records (Argentina), Jumpsuit Records (USA), Acqua Records (Arg), Black Swan Sounds (USA), Club del Disco (Arg), Frente Bolivarista (Brazil), and Fertil Discos (Arg). Their raw transformative performances have taken them to perform in festivals and concert halls in over a dozen countries, including places as diverse as USA, Germany, Indonesia, Australia, Costa Rica, Colombia, Hungary, Spain and more.